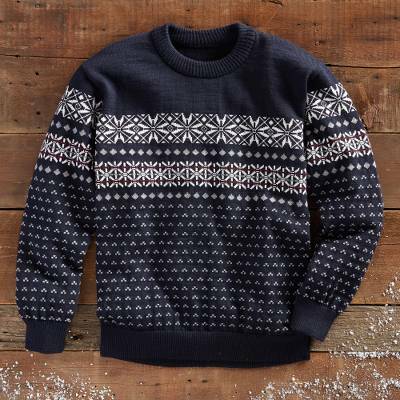 Balmoral Apres Ski Sweater, "Balmoral"
Warm up after a day on the slopes with this fine-gauge sweater made using 100% new wool. 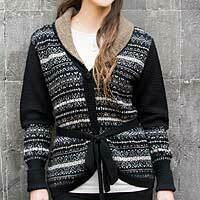 Knit in a traditional Fair Isle pattern using a floating jacquard technique, it's an impressive example of quality Scottish knitwear. The pullover sweater is made in Galston, Scotland, by a company founded in 1895 and now in its fifth generation of family ownership. This was a gift for my grandson to keep him warm while running around campus. He was very pleased.